Leyton Area Guide - What makes Leyton so great? Where do Leyton locals go? Share your favourite place to go to in Leyton. "In 1981, four boys found what they thought were bear prints in the snow on Hackney Marshes. After raising the alarm, the police came to scour the area but no 'beast' was found. To this day, we still do not know if the animal was real or if it was an elaborate hoax." I love walking along the Lee Navigation in Hackney Wick and looking at all the charming narrow boats. I love Leyton because of the village atmosphere, the diversity and wonderful cultural activities and the continuing investment from Waltham Forrest and local people. 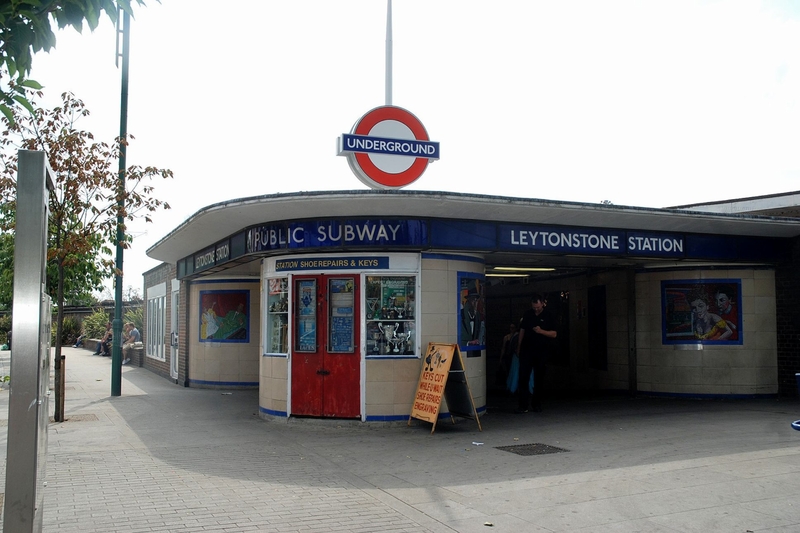 I love living in Leyton because it is close to everything I need, the transportation is very good, there are comer stores at will and also buy supermarkets too. I can't imagine living in another area. And most of all I feel safe here and it's ok close to my place of work and close to Stratford Westfield shopping centre too. I have lived in Leyton for 12 years now... It is a great place to live and is getting better every day... The council has given millions to the area and the demographics is changing too. The housing stock is Victorian/Edwardian? and 1930's. There are good pubs here and good restaurants. The schools are very good and getting better. However the house prices are going ballistic, as the demographics change and that can only be a good thing for the area. There are new shops opening and there are good transport links. Victoria line in Walthamstow, Central Line in Leyton and Leytonstone and of course there are the over ground trains for the Ginger Lineres. So hurry people as the prices are mad... I bought my house in 2002 for £211,000, it is now worth as from last week £575,000, and one bed flats are now commanding £300/350. Prices are outstripping area's like Wanstead, South Woodford and Leytonstone. So come live here it is a great place and getting better as the tr ash goes and the new come in. It is full of shops and schools and is near the Olympic Park so life is good. What do you think of Leyton? Leyton is a suburban area of east London and part of the London Borough of Waltham Forest, located 6.2 miles (10 km) north-east of Charing Cross. It borders Walthamstow and Leytonstone in Waltham Forest, Stratford in the London Borough of Newham and Homerton and Lower Clapton in the London Borough of Hackney. The district includes part of the Queen Elizabeth Olympic Park, which hosted the 2012 Olympic Games, although it is predominantly residential. It consists mainly of terraced houses built between 1870 and 1910, interspersed with some modern housing estates. What are your favourite things about Leyton? Find out how much your flat or house is worth om Leyton. Feedback about living in Leyton has been submitted directly by the public and may not neccessarily reflect the views of Foxtons. The description of Leyton was modified from Wikipedia and is available under the Creative Commons licence. Land Registry data is Crown copyright. All the views and contributions contained within Foxtons Local Life are those of the contributors. All content is assessed before publishing for taste, however free opinion is encouraged. Foxtons accept no payment or sponsorship for content that is posted about Leyton.